Brooke Orosz, PhD, is a statistics professor at Essex College in New Jersey. She has generously donated her time and expertise to analyze the 2014 MANA STATS data for TexasHomeBirth. 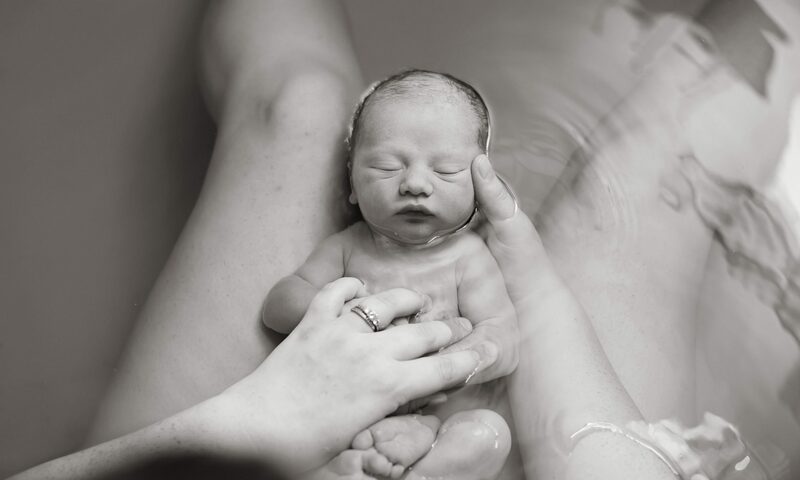 This article is designed for those who want a deeper understanding of the safety of American home birth, and investigates the details of the research methods and conclusions of the MANA STATS publication. A basic knowledge of statistics will be required to understand this article. If a term or concept is confusing, you may find Dr. Orosz’ free statistics tutorials on Youtube helpful. 2) Was neonatal morbidity higher? 3) Was maternal mortality and morbidity higher? All of these questions require an appropriate comparison group, and selection of this group is where difficulties arise. It is not appropriate to compare the home birth outcomes to all hospital births in the USA, as the home birth sample is considerably lower-risk. The biggest difference is gestational age. Most neonatal deaths in the USA occur in severely premature babies, and very few of the MANA STATS home births involved premature or low birth weight babies, likely because most women who planned home birth and then developed preterm labor rapidly transferred to hospital care. In addition, the MANA STATS mothers had fewer preexisting health problems, such as chronic hypertension. 66.9% of MANA STATS mothers had a normal (18.5-25) prepregnancy BMI, compared to 47.3% across the 36 states and DC for which data is available. (2) The racial makeup of the MANA STATS mothers was quite different from that of the USA as a whole, 92% White and only 3.1% Black or Native American women, who are at higher risk. Very few MANA STATS mothers carried twins, and none carried higher-order multiples. In order to find a suitable comparison group, I consulted the CDC’s Wonder Database of linked birth-infant death certificates. The MANA STATS group was predominately but not uniformly low-risk, so I chose to use as few conditions as possible. Mothers who planned a home birth presumably received some prenatal care from the midwife, so I limited the comparison group to women who had prenatal care no later than the 8th month of pregnancy. And 99.2% of MANA STATS babies were over 2500 grams, so I eliminated low birth weight babies from the comparison group. Although the MANA STATS group was also low-risk in other ways, I did not add any further restrictions. I then compared MANA STATS numbers to CDC numbers using an alternate hypothesis of increased death rates against a null hypothesis of equal or lesser death rates. Due to the small numbers, I computed p-values directly, with the binomial formula, rather than a normal distribution. For babies born in a hospital during the period 2007-2010, weighing at least 2500 grams, whose mothers received some prenatal care, the neonatal death rate was 0.71 per thousand. When deaths due to congenital anomalies are excluded, the rate drops to 0.40. The neonatal death rate for MANA STATS babies was 0.77 excluding congenital anomalies (13 deaths out of 16,950 births) and 1.30 including congenital anomalies (22 total neonatal deaths). The neonatal death rate excluding anomalies was significantly higher in the MANA STATS group (p=0.01). In addition, the number of neonatal deaths attributed to congenital anomalies was higher than expected, although the statistical significance of this difference was marginal (p=0.04). Additionally, there were 22 intrapartum deaths recorded in the MANA STATS data. Finding an appropriate comparison group is particularly difficult, as the CDC and many other health authorities do not record intrapartum deaths separately from other stillbirths. In other words, the expected number of deaths from causes other than congenital anomalies was at most 12, and the actual number of deaths was 35 (44 with anomalies included). It is clear that home birth substantially increases the risk of neonatal death and of intrapartum death. I strongly disagree with the italicized portion, particularly with regard to breech birth, the highest-risk subgroup. Out of 222 births, there were 5 deaths. This is a combined death rate of 22.5 per thousand, a number made even more shocking by the fact that breech position does not increase the risk of death at all among babies born in the hospital. Disturbingly, the breech data were incomplete, as the authors explained: “There are 4 singleton pregnancies, 3 of which were breech presentations, for which all birth outcomes data are unavailable. These women began labor at home and then transferred to the hospital prior to birth. The midwives of record were contacted, and in each case the midwife did not accompany the mother, nor did the mother return to the midwife for postpartum care.” This missing data means that the breech death rate could in fact be as high as 36.0 per thousand, or 3.6%, which is similar to the breech birth death rate in the USA circa 1950. Had those breech infants been born in the hospital, there is at least an 86% chance that all of them would have survived, probably higher, and a 99% chance that no more than one would have died. Instead, at least five and possibly eight babies died. In addition, no information was available regarding neonatal or maternal morbidity in the breech birth group. Vaginal breech birth has been shown elsewhere to increase the risks of hypoxic brain injury and low APGAR in the infant as well as the risk of hemorrhage and perineal laceration in the mother. In short, breech position is a severe and unmanageable risk factor at home birth. In fact, the combined death rate of every subgroup was higher than the hospital comparison rate, and the difference was highly statistically significant on all but the smallest subgroups. The lowest-risk subgroup was also the largest subgroup, that of multiparous women with no prior history of cesarian section. The combined neonatal and intrapartum death rate was 1.24 per thousand, (15 out of 12,088) less than twice the hospital comparison rate. Only 245 infants (1.5%) had a recorded 5-minute APGAR of less than seven. Nationwide, 1.1% of babies above 2500 grams had a low APGAR as per CDC birth data, so the rate among the MANA STATS babies is significantly higher (p<0.0001 per binomial test) but not drastically higher. However, APGARs were unavailable for 401 newborns. This missing data is concerning, as newborn health is a key outcome, and the only recorded variable with a greater number of missing data points was maternal education. If all 401 of those newborns in fact had low APGARs, the true rate of low-APGAR births would be 3.8%, which is three and a half times the national average. Alarmingly, of the 245 infants with low recorded APGARs, 69 were transferred to the hospital intrapartum, but only 66 were transferred postpartum, meaning that over 100 low-APGAR infants did not receive prompt medical attention. 15.5% of the mothers in the MANA STATS group experienced a postpartum hemorrhage over 500ml, with 4.8% losing over 1000mL. Nationally, only 3.3% of vaginal births resulted in a postpartum hemorrhage exceeding 500 ml, with few exceeding 1000ml, and only 2% of cesarian births involved a PPH exceeding 1000 ml. (3) These nationwide numbers do NOT control for preexisting maternal risk factors, which are more prevalent in the hospital group as previously noted. Clearly, home birth substantially increases the risk of PPH. Over 1,000 women attempted a vaginal birth after Cesarian. The number of uterine ruptures and hysterectomies was not reported. The MANA STATS data recorded one maternal death during the study period, which is not inconsistent with the national maternal death rate. No conclusion can be drawn about the effect of home birth on maternal mortality. The mothers in the MANA STATS cohort experienced fewer childbirth interventions than comparable-women giving birth in the hospital. Women considering home birth should be aware of these risks. Furthermore, the risk of death is increased for babies in breech presentations, and infants born to first-time mothers or mothers with a prior history of cesarian birth.